Wow, you are awesome! I’m sure it is so much work to recreate these. I’m sure they were delicious, they look amazing! Lol do not worry! I am sure she would appreciate you creating these awesome adaptations so everyone can enjoy them! Your cookies look like they turned out perfectly. I can’t wait to make a batch for myself! Yea I agree- I think Christina would be thrilled that you are taking her recipes and making them fit your food restrictions! 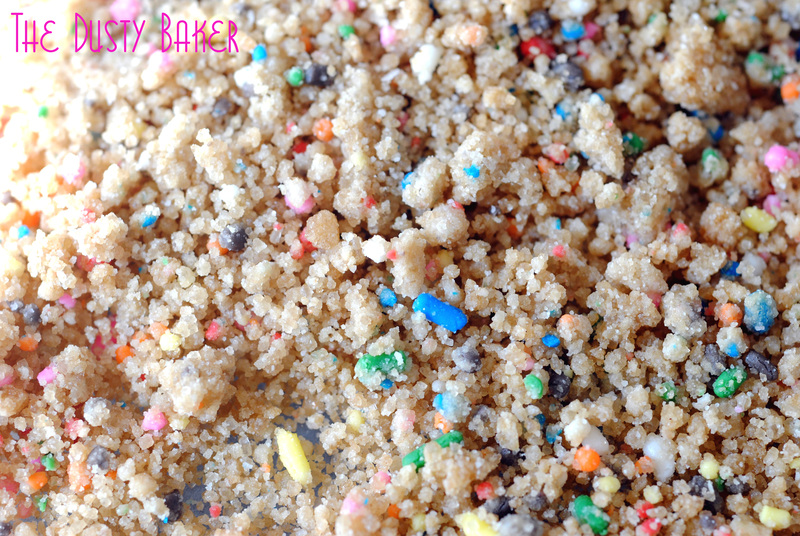 These look amazing- soft-fluffy and those sprinkles just make me so happy! that confetti cookies looks tempting, and it looks crunchy! Yum these look soooo good! That punch in the neck comment mademe crack up! I’m sure there will be no neck punching with these amazing cookies! These are just lovely, Jacqueline! I’m quite sure Christina would NOT punch you in the neck. No way. I won’t let her. Loving your g-f version, especially the agave nectar! Oh my god, I cannot wait to make/devour this!